If you’re someone who has experienced so many failures in life or is too afraid of failing, then the inspiring story of this Filipina teacher might just change the way you see failures. Despite facing several challenges back in college, Aimee Chavez Octaviano didn’t allow these to get the best of her. In a viral post on Facebook, the University of the Philippines (UP) alumna detailed how she was able to overcome failures. Just like many college students, Octaviano, who took up BS Mathematics and Science Training at the UP- Los Baños, also had a hard time passing some of her subjects. During her first year at the university, Octaviano experienced failing an exam for the first time. But come her second year in college, Octaviano failed to pass two difficult subjects: Biology 30 and Chemistry 40. The following semester, she managed to pass Biology 30 but still failed to get a passing mark in Chemistry 40. Determined to graduate on time, Octaviano decided to take the path less taken and “overload” for the next semesters. She also took midyear classes and waived subjects which had prerequisite courses she hasn’t taken up. Several students tried to discourage Octaviano from taking too much subjects but failed to prevent her unwavering spirit. Through hard work and determination, Octaviano managed to pass Chemistry 40 on her third take and was even included among the topnotchers of the exams. 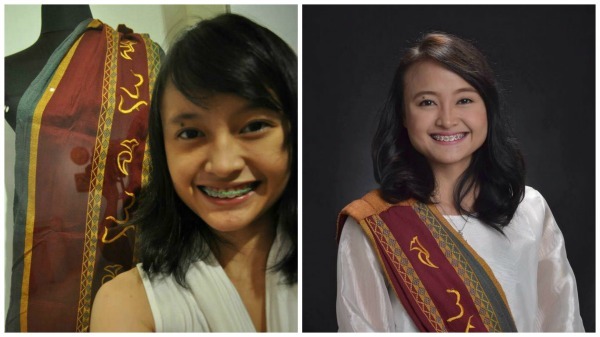 Even if many expressed their doubts, Octaviano earned her diploma and sablay just in time. Today, she teaches Mathematics and Science and had successfully passed the September 2016 Licensure Examination for Professional Teachers (LET). Read her full story below.